Facebook is one channel that is present in three out of four smartphones and is checked frequently by people on a daily basis. It is one of the greatest sources of organic traffic and when channelized properly, can greatly benefit a business. Advertising on social media through a well-built Facebook marketing strategy can go a long way in helping your business reach greater heights. What is the need for digital marketing and SEO services? Facebook is a major source of traffic and must be utilized in an effective manner to run social media marketing campaigns. Facebook ad management requires you to be careful about a few things. You need to know your audience, observe their browsing patterns, study their choices, and subsequently launch a Facebook marketing campaign. The company you hire should realize the importance of not just having a pretty façade, but also a great user experience. The best advantage that a mobile device offers is mobility. This feature is banked upon for catering to the varied interests of users on the go. We are a renowned mobile web development agency in Dubai, Egypt, Abu Dhabi, Kuwait, Qatar, as well as KSA. We can work with you to turn your ideas into reality. We are comfortable working in all domains and can develop mobile sites for all platforms. 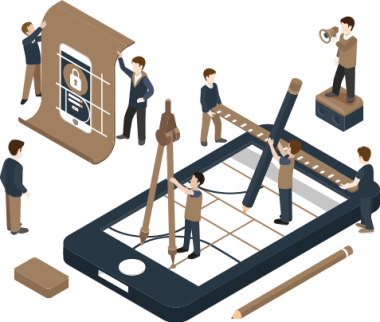 A detailed process goes into making an outstanding mobile website. Our experience in the field has enabled us to develop a winning formula for creating exceptional mobile site designs.